There are two winners in every presidential election campaign: The inevitable winner when it begins--such as Rudy Giuliani or Hillary Clinton in 2008--and the inevitable victor after it ends. In The Candidate, Samuel Popkin explains the difference between them. While plenty of political insiders have written about specific campaigns, only Popkin--drawing on a lifetime of presidential campaign experience and extensive research--analyzes what it takes to win the next campaign. The road to the White House is littered with geniuses of campaigns past. Why doesn't practice make perfect? Why is experience such a poor teacher? Why are the same mistakes replayed again and again? Based on detailed analyses of the winners--and losers--of the last 60 years of presidential campaigns, Popkin explains how challengers get to the White House, how incumbents stay there for a second term, and how successors hold power for their party. He looks in particular at three campaigns--George H.W. Bush's muddled campaign for reelection in 1992, Al Gore's flawed campaign for the presidency in 2000, and Hillary Clinton's mismanaged effort to win the nomination in 2008--and uncovers the lessons that Ronald Reagan can teach future candidates about teamwork. 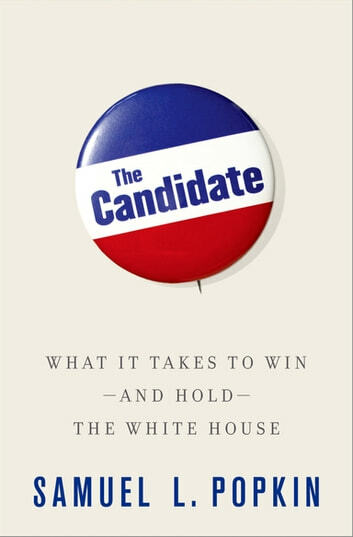 Throughout, Popkin illuminates the intricacies of presidential campaigns--the small details and the big picture, the surprising mistakes and the predictable miscues--in a riveting account of what goes on inside a campaign and what makes one succeed while another fails. As Popkin shows, a vision for the future and the audacity to run are only the first steps in a candidate's run for office. To truly survive the most grueling show on earth, presidential hopefuls have to understand the critical factors that Popkin reveals in The Candidate. In the wake of the 2012 election, Popkin's analysis looks remarkably prescient. Obama ran a strong incumbent-oriented campaign but made typical incumbent mistakes, as evidenced by his weak performance in the first debate. The Romney campaign correctly put power in the hands of a strong campaign manager, but it couldn't overcome the weaknesses of the candidate.